No, that is not an actual quote from a job posting. At least, not a direct quote. It is, however, the essential intent of any white-collar job meant to fill a position where meetings are a normal part of life. What is the link between cat herding and meetings? 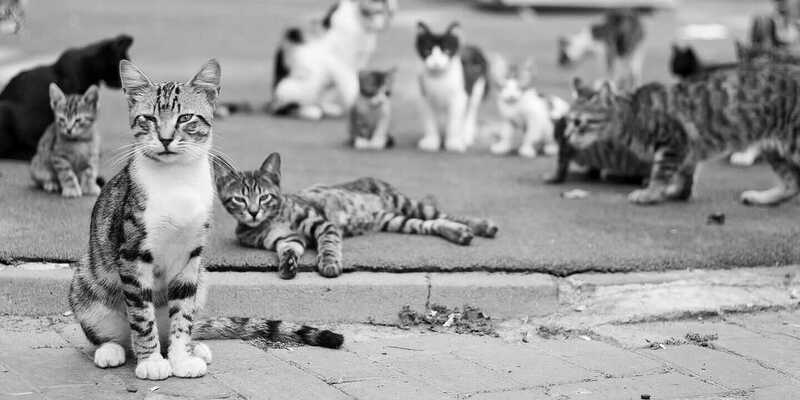 Isn’t it obvious that you would probably have a greater success getting a pack of feral cats to march in an adorably fuzzy little line than actually achieving almost anything in your average meeting? Teaching Cats to Queue. If you can identify with the feeling that a career change to cat herding could prove to be more professionally rewarding than attending your new project meeting, you are not alone. The modern workplace has largely shifted from a world where we “make” things to a world where we “think of” things. Along the way, we gave into our herd mentality and determined that there was productive safety in numbers. So we began to hold and attend professional meetings. The problem is that a herd of cows isn’t actually getting together to achieve anything; but if it were, you can bet it would have a meeting agenda! The Agenda and How to Create One. The meeting agenda is the essential tool that transforms your meeting from a half-baked attempt to crowd source productivity into a truly successful meeting. That may sound like a big promise to come through on, and that is because it is! The great news is that creating an effective meeting agenda is not difficult. All you need to do is follow these three simple steps. 1. Define the Goal. The surest way to ensure that your meeting will result in as little productivity and as much grief as possible is to not identify a goal. The goal of the meeting should be to take your team from your current position to the next logical step toward the overall goal. For instance, you cannot go from A to D without first proceeding to B and then C. The goal of your meeting should be to go from A to B in an effort to get to D.
Practice It: Before your next meeting, sit down and properly identify the objectives of the meeting being planned. Look at each one and ask yourself, “Is this goal the next step toward completion from our current position?” If not, then backtrack from your overall goal to the next logical step from your current position. That will be the reason you call this meeting. 2. Identify the Participants. Meetings are too often populated by attendees who contribute nothing. If an individual is not an active participant in the topic of the meeting and contributing to the goal, then they should not be included. Limit your attendee list to only those who have material or concepts to contribute to the gathering. Practice It: With your goal identified, review your initial list of attendees to be invited. Upon reviewing each name, ask yourself, “What will this person present to the rest of the group?” If you determine the person has no new information to present, then ask yourself, “Will he/she have useful input on the presentations of others?” If the answer to this question is “no,” then eliminate the name from the list. This is a sure way to limit meeting apathy and raise attendee engagement. 3. Include Next-Action Time. The goal of any meeting should be to leave with a plan to get to the next step toward an overall goal. However, meetings often end without assignments and expectations made clear. Allow time in your agenda to identify and discuss what is expected of each attendee and in what time frame. This one step is the difference between a successful meeting and a waste of time. Practice It: It might seem like a simple task, but correctly identifying the next action for each team member can be time consuming because it often sparks conversation as to what the next step actually is. For that reason, you should allot at least one third of your meeting time to that effort. As time goes on you can shorten that time, but do not cheat yourself in the beginning! This process may seem counterintuitive, perhaps even the precise opposite of how you currently plan meetings. It is very common for knowledge workers to approach a meeting with the “need” to inform people of what they need to accomplish (that is, the next action). This process assumes that all participants already know the goal of the project. The failing of this approach is that it is a process attempting to create success from thin air. The process outlined here first identifies the necessary building blocks to create a successful outcome and then moves your team toward your identified objective. The key to the success of the process is allotting adequate time to fully identify the next action for each person attending the meeting. This key action assures attendees what is expected of them and what they can expect of others so you can work together toward your project goal. Committing to these three steps before you announce or schedule your next project meeting will position your team for success. Hopefully you will see the immediate results of this meeting practice and realize the professional rewards that can be derived from perfectly aligned felines marching in line to project and team success.